Seaside, OR: Seaside native, councilman, and entrepreneur, Seth Morrisey, is breaking ground on a new Storage Facility Seaside Oregon just north of Broadway and Downtown. Using up extra land that he already owns, the Seaside Self-Storage units are sure to be a profitable venture while the population at the coast is at an all-time high and is only expected to keep growing. Seaside Self Storage (also referred to as self-service storage, or mini storage) is a niche where storage space, or storage units, are rented to tenants on a month-to-month, or short term basis. Potential tenants can be anyone from businesses, to someone just needing long term, or very short term storage space. Storage units are primarily a US niche. Within the industry, people often refer to the need for storage units as the “4D’s” – death, divorce, downsizing, or dislocation. While the need for storage space varies from person to person, there is already an estimated 50,000 storage facilities in the US as of 2018 and there is no end to their production in sight. Despite their popularity, self-storage facilities are relatively new in terms of US History. The first self-storage chains popped up in the state of Texas around the 1960s, and ’70s. After that, storage units continued to pop up around the country with the industry booming in the 1990s when demand began to outpace self-storage availability and contractors scrambled to get their share. With self-storage facilities often being renter-accessible 24-hours a day, they are a good option when housing excessive records, decorations, household items, and more. Because of the valuable items that are often stored in storage units, most locations have renter-exclusive passcodes, locks, etc. to gain access to the storage unit grounds. Unlike warehouse storage, self-storage employees do not have casual access to tenants personal units. This is a large reason as to why self-storage units are the most popular storage option in The United States. Because a lot of self-storage facilities are meant to act as short (or long) term spaces, storage companies will often rent them out on a month-to-month basis opposed to contracting tenants in with year-long leases. Because of the risk(s) associated with non-contracted tenants, owners of self-storage facilities can seize units and all of their contents when a Lien (a legal right to keep possession of property belonging to another person until a debt owed by that person is discharged) is issued to said tenant. With the need for storage units continuing to grow every single year, companies are beginning to really hone in their ability to manufacture these modular units allowing for operators to get storage facilities up and running faster than ever. While competition is fierce at the local level, the six largest publicly traded storage operators (including U-Haul) now own and operate over 18% of self-storage units in the US. Currently, the demand is so high that PODS (Portable on Demand Storage) and other companies alike are joining in on the modular construction effort in order to try and get their share of the storage unit boom. 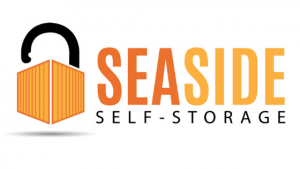 Specifically, Seth will be opening up Shipping Container Storage in Seaside Oregon – Dry Storage in Seaside Oregon is a must as rain is a common issue here at the coast.